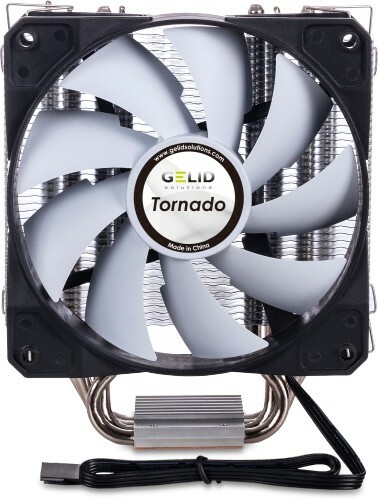 Gelid's Tornado is an excellent choice for customers looking for a great performing CPU cooler on a budget. 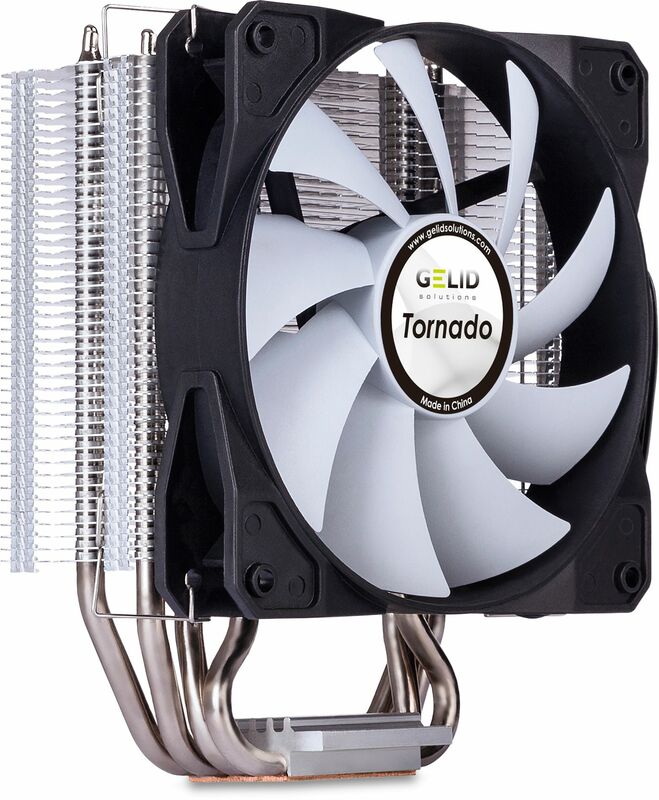 The Tornado is designed to bring the features of top-notch CPU coolers to the mass market. It uses a constellation of the advanced copper-based heatsink with four Nickel-plated power heat pipes and the 120mm quiet fan with Smart PWM to deliver best-in-class cooling performance. Compact size and lightweight design both ensure it is broadly compatible to most tower cases in the market. Full support of TDP 160W makes the Tornado a perfect solution for gaming computers and business workstations. The Tornado features four nickel plated power heat pipes serve to optimise heat transfer within the heatsink elements. Manufactured from copper, the base of the heatsink delivers improved cooling performance to the heatsinks fins. The 120mm fan provides efficient air flow distribution and helps keep CPU cooling noise as quiet as possible without compromising on performance. With a height of 153mm the Tornado has been designed to fits the most tower and desktop chassis. The cooler has been designed to fit the majority of desktop CPU sockets. Intel LGA 1151 and AMD AM4 sockets are all support, just to mention a few. Intel and AMD mainstream CPUs have a TDP of up to 110W, this means the Tornado has plenty of headroom in terms of performance.